National level transplant centres encompasses highly qualified and capable organ transplant centres selected from over 1,000 candidates and approved by the Ministry of Health in 2007. Among them are 23 military and armed police transplant centres and 68 civilian transplant centres. The People’s Liberation Army (PLA) is one of the few militaries in the world that belong to a political party rather than the state. It is a tool used to sustain the Communist Party’s control over China. The 23 top-level military transplant centres among the first batch approved by the Ministry of Health in 2007 were the core units that the evidence shows were carrying out live organ transplants. "The hospital is an important health and wellness base for the Chinese Communist Party Central Committee and provides treatment for the Central Military Committee, People’s Liberation Army General Staff Department, and various regional military commands and military personnel…"
The People’s Liberation Army General Hospital International Medical Centre opened up the exclusive South Building previously reserved for the above category of patients. 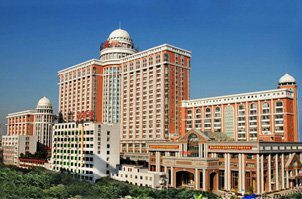 In December 2009, the Centre began serving provincial and ministerial-level leaders, international VIPs, elites in various industries, celebrities, and other high-end clients.19 Its chief surgeon Huang Zhiqiang was a well-known hepatobiliary surgeon in China and a member of the Chinese Academy of Engineering. 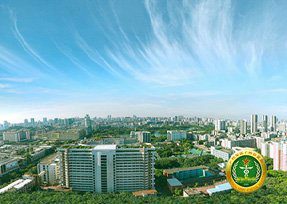 The hospital retains six members of the Chinese Academy of Sciences and the Chinese Academy of Engineering, more than 100 third-class experts (equivalent in rank to generals in non-combat positions), and more than 1,000 senior professional staff members. 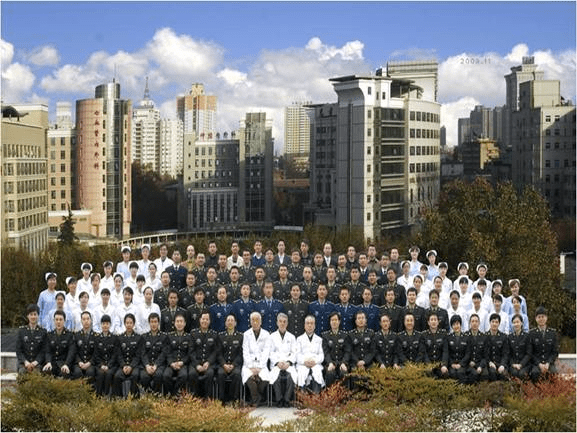 Its staff includes 184 doctoral advisors, 293 master’s advisors, and more than 180 who serve as directors or deputy directors of various medical committees at national and militarywide levels. 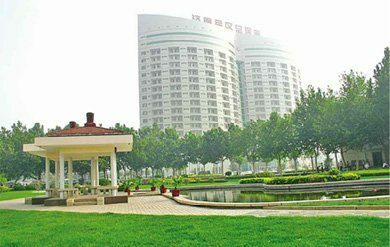 This hospital is also called the Medical School of Chinese People’s Liberation Army, the only military education facility founded by a military hospital. Over the years, it has trained more than 4,000 clinical medical professionals with doctoral or master’s degrees, more than 10,000 clinical trainees from many military and local hospitals, and tens of thousands of students under its education programs. The hospital has carried out more than 800 research projects under the National 973 Program and the 863 Program. It has won more than 1,300 science and technology awards at national, provincial, and ministerial levels, including 7 national first-class and 20 national second-class scientific improvement awards. It publishes 23 national core scientific and technological journals, one of which is listed by Science Citation Index. The hospital has led the country for four years in a row in the total number of papers published domestically and internationally. It has established partnerships with over 100 leading institutions in the field, both in China and abroad, and employs more than 200 experts as guest professors. The number of transplants performed at this hospital is also a military secret. However, we can gain some insight from financial information of one of its clinical divisions, the No. 309 Hospital. The archived web page of the Organ Transplantation Centre at No. 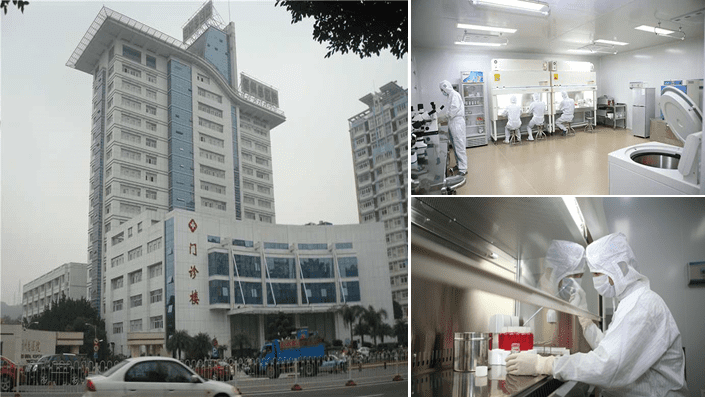 309 Clinical Division of People’s Liberation Army General Hospital states, “Our Organ Transplant Centre is our main department for making money. 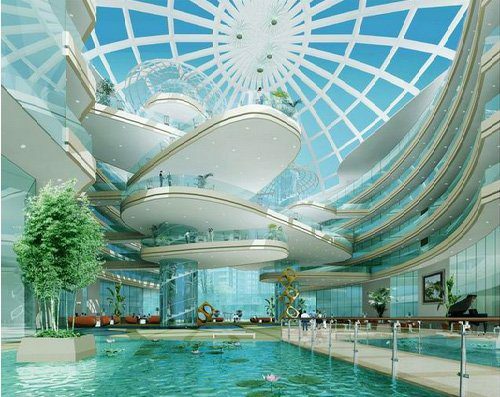 Its gross income in 2003 was 16,070,000 RMB. From January to June of 2004 income was 13,570,000 RMB. This year  there is a chance to break through 30,000,000 RMB.” Furthermore, its gross revenue rose from 30 million RMB in 2006 to 230 million RMB in 2010, an increase of nearly 8-fold in 4 years.24 We should note that such figures are commonly face data underreported (for more details, see the “Cover-Up” section in Chapter Three). The department’s five-year survival data implies that it has performed liver transplants regularly since 2002 at the latest. It is also worth noting that Dong Jiahong was not transferred to this hospital until 2006,26 so this report implies that the department performed more than 500 liver transplants that year; this is only the public figure. No. 301 Hospital has not only conducted a large number of organ transplants by itself, but also has played a role in resolving core technical issues in organ transplantation and supporting civilian hospitals with organ sources and technical consultants. Photo: Members of the international transplantation community met in August, 2007 in China for a forum on the new Human Organ Transplantation Act. 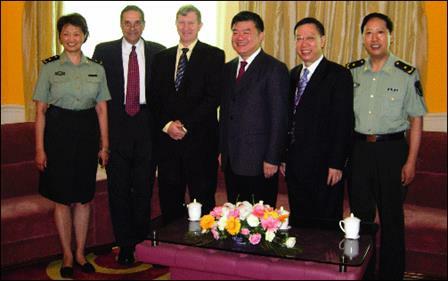 This photo was taken in 2007, when Francis L. Delmonico, former director of medical affairs for The Transplantation Society (TTS) and an advisor to the World Health Organization (WHO), visited China. In addition, Chen Zhu and Huang Jiefu, Chinese Minister and Vice Minister of health, two military representatives were from No. 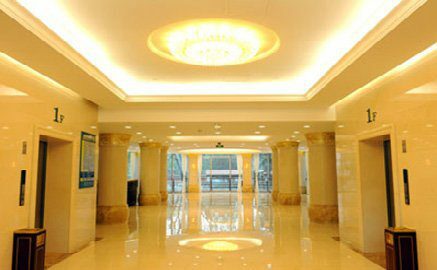 301 People’s Liberation Army General Hospital.28 This shows the important role which this hospital played in China’s organ transplant field. 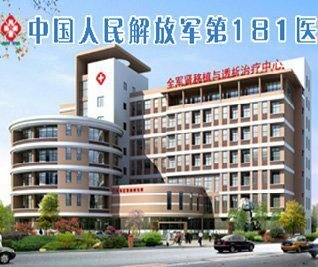 The Hepatobiliary Surgery Department is a People’s Liberation Army Hepatobiliary Surgery Center and Liver Transplant Center. 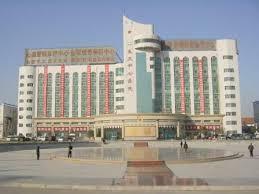 29 It claims to be the largest in northern China30 and it is authorized to award Medical Doctor degrees. 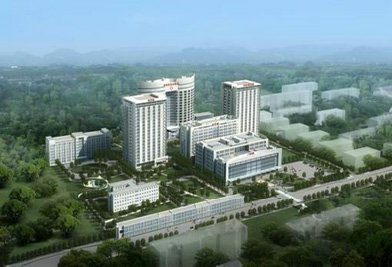 It also serves as a post-doctoral station, the People’s Liberation Army’s Hepatobiliary Surgical Research Institute (a national prioritized development subject), and one of the People’s Liberation Army’s major laboratories. According to its official website, the hospital has 172 beds and conducted 3,260 surgeries in 2013. Lu Shichun, the current director of the hepatobiliary surgery department and an advisor for doctoral students and post-doctorates, received his PhD in abdominal surgery and organ transplantation from the University of Freiburg in Germany. 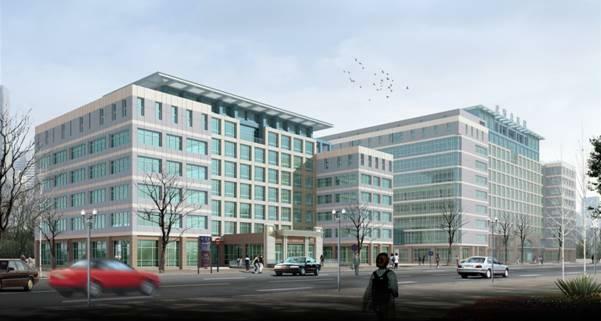 He formerly served as the director of the hepatobiliary surgery department and liver transplant centre at Beijing You’an Hospital affiliated with Capital Medical University. He was also the director of the Sino-US Liver Transplant Liaison Centre. In this position, he led over 700 liver transplants. He now sits on the Chinese Medical Association (CMA)’s Organ Transplant Division Liver Transplant Group, the CMA’s Surgery Division Liver Transplant Group, and the standing committee of the Chinese Medical Doctor Association’s Organ Transplant Group. The web page of this department shows that it performed its first autologous kidney transplant in 1974 and has carried out over 2,000 allogeneic renal transplants since 1977. 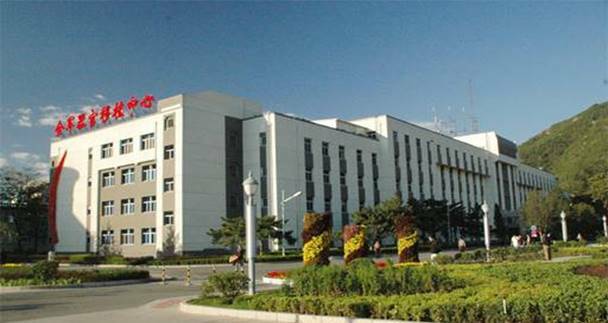 However, per an article entitled “Progress of China’s clinical kidney allograft” by Director Yu Lixin of Guangzhou Nanfang Hospital Organ Transplant Centre, as early as 2000, the number of kidney transplants completed at this hospital had already reached 1,180.34 It is unlikely that this huge hospital that “has always been leading the country on liver and kidney transplantation technologies” performs only 50 kidney transplants each year. According to statistics from the Ho Leung Ho Lee Foundation, Shi Bingyi had completed at least 2,130 kidney transplants,46 380 liver transplants, and many heart, lung, pancreas, small intestine, and multi-organ transplants by 2011, making the centre one of the institutions in China that offers the greatest variety of transplants. A kidney transplant normally requires fewer than three weeks of hospitalization; they usually require one or two weeks in China (refer to Chapter 3 for details). 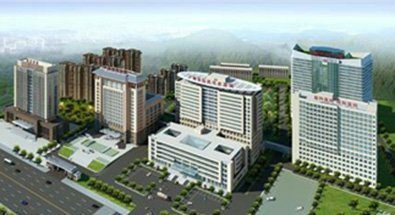 For example, West China Hospital of Sichuan University requires about 20 days of hospitalization.52 Based on 316 beds, 20 days of hospitalization time and 100% utilization rate, the number of transplants in this centre per year would be 5,767. If we count 393 beds, 20 days of hospitalization time and 100% utilization rate, the number of transplants per year would reach 7,172. On Nov.17, 2010, the Centre’s website showed that its transplant volume “ranked first in the country for the last three years,”53 in which case the centre would have performed no fewer than 5,000 transplants annually. 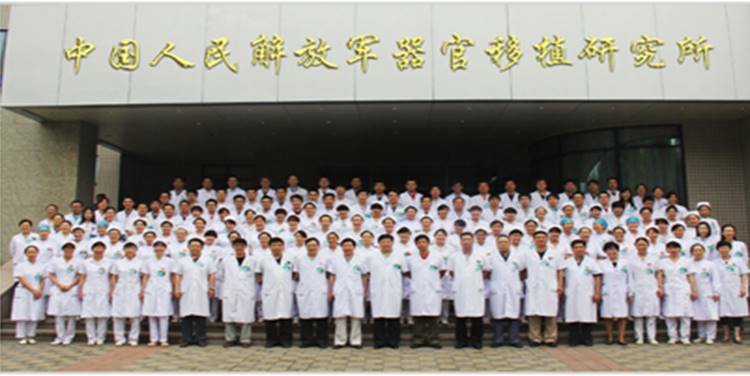 It assembled leading kidney specialists, including Li Leishi, the pioneer of kidney medicine in China and the first kidney specialist to be appointed to the Chinese Academy of Engineering.59 The team had two Academy members and currently has seven professors, eight associate professors, five doctoral advisors, and fourteen master’s advisers. It has graduated more than 150 post-doctoral, doctoral, and master’s students since 1980s. It has established sister relationships with the Johns Hopkins University School of Medicine and Brown University in the U.S. 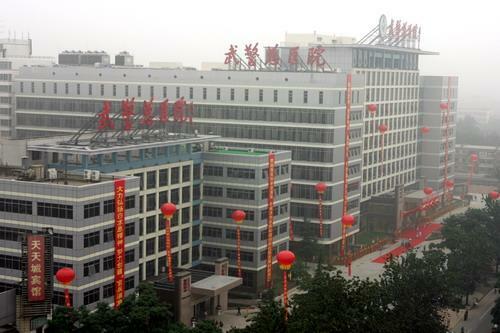 In 1993, this research centre established China’s first organ transplant centre. Li Leishi was trained in internal medicine, but he sent students to kidney transplant hospitals overseas and went on to direct China’s first kidney transplant surgeries. In 2011, Liu Zhihong co-authored a paper in the Open Journal of Organ Transplant Surgery reporting a study with 93 renal transplant recipients prospectively enrolled at her hospital from June 2002 to December 2005 who had received conversion-to-SRL-based immunosuppressive therapy. 75 The paper claims explicitly, “no prisoners or organs from prisoners were used in the collection of data for this study.” In these years, nearly no voluntary organ donations of deceased or living donors existed; even a pilot project for voluntary organ donation in Jiangsu Province that was started in 2010 attained only 11 voluntary donations in its first two years.76 Therefore, this claim is likely deceptive. The institution had close to 30 experts before 2001, amongst whom eleven chief surgeons and six associate chief surgeons carried out kidney transplants.83 If the three doctors Li mentioned carried out hundreds of kidney transplants a year, the other fourteen surgeons each year would have conducted well over a thousand collectively. Construction began on the new ward complex in 2011, which is scheduled to be put into use at the end of 2016. 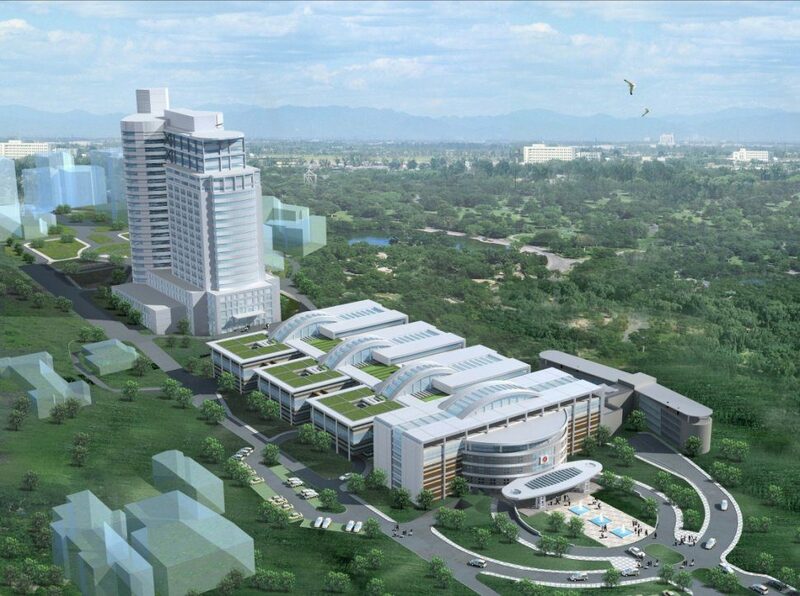 With a total area of 154,900 square meters and 1,680 beds, the ward complex is the largest in Fujian Province. 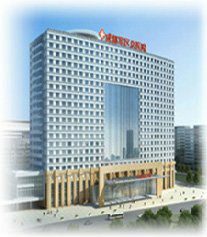 Nanjing General Hospital’s claim of 1,000 kidney transplants in 2004 was not, in the Chinese transplant landscape, an unusual achievement. Many hospitals had already performed over 1,000 kidney transplants long before that year. If the Hospital really was one of the largest transplant centres in China as it claimed, its numbers must have been far greater than 1,000. Southwest Hospital, its sister hospital, claims to be one of the largest Hepatobiliary Surgery departments both domestically and overseas. Beginning with its first liver transplant in 1999, it was designated as a key experiment of the Centre of People’s Liberation Army Liver Transplantation by 2001. 89 In 2004, the newly-formed Southwest Hospital of Hepatobiliary Surgery established the International Cooperative Liver Transplant Centre with the University of Pittsburgh Thomas E. Starzl Transplantation Institute. In addition, according to a report in the Medical Journal of the Chinese People’s Armed Police Forces in June 2004, 96as early as the year 2000, Beijing Friendship Hospital and Guangzhou Nanfang Hospital had already conducted more than 2,000 kidney transplants. 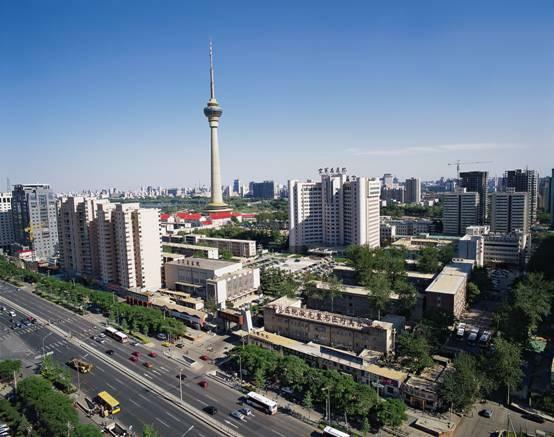 The First Clinical Hospital of Sun Yat-sen, the People’s Liberation Army General Hospital, the First Affiliated Hospital of Xi’an Jiaotong University, the Beijing Chaoyang Hospital, and others all had carried out more than 1,000 kidney transplants each. Wu Mengchao, a member of the Chinese Academy of Sciences and China’s “Father of Hepatobiliary Surgery,” served as the chief consultant of the People’s Liberation Army Organ Transplant Committee. In 2005, Wu won the nation’s highest science and technology award for his solution for major technical issues associated with liver transplant rejection. Former Communist Party leader Jiang Zemin met with Wu five times and personally proclaimed Wu an Exemplary Medical Expert. As of 2010, Wu had presided over 14,000 liver surgeries, including 9,300 hepatectomies.106 The remaining 4,000+ surgeries remain unidentified and are likely to be liver transplants. 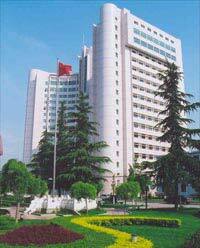 Headed by Academician Wu Mengchao, the hospital’s staff includes 95 personnel with senior professional titles, a member of the Chinese Academy of Sciences, a member of the Chinese Academy of Engineering, 26 doctoral advisors, 51 master’s advisors, and 30 leading figures in various fields from Changhai Hospital and Changzheng Hospital. The department has 30 operating rooms with air purification, including 6 hundred-level laminar flow operating rooms and a digitally integrated operating room. 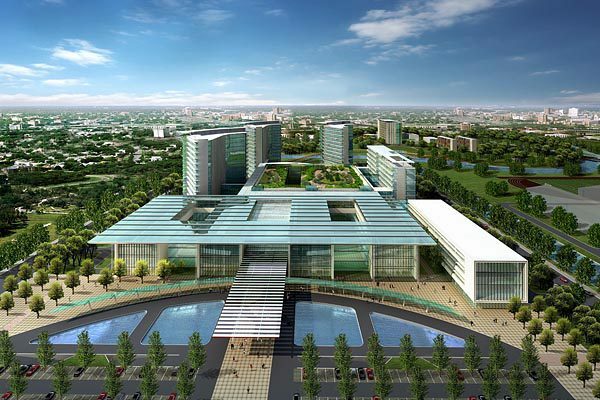 The National Liver Cancer Science Centre located next to the hospital is a national-level research centre for liver cancer, which was founded under the leadership of Academicians Wu Mengchao and Wang Hongyang, a leading figure in China’s precision medical treatment. 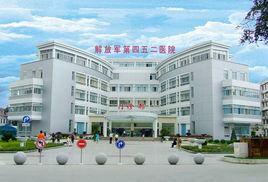 In 1978, the hospital became one of the first in China to start conducting kidney transplants. It is also among hospitals that have performed the most kidney transplants, yet it claims to have performed only 4,500 to date.112 This figure is exceeded by just two of its doctors. Zhu Youhua, who is considered a leader in the People’s Liberation Army on kidney transplantation, had successfully completed 3,680 kidney transplants as of 2010.113 Li Shenqin has also conducted more than 1,000 transplants. The Research Institute has long-term partnerships and regular collaboration with internationally acclaimed organ transplant centers, including the Thomas E. Starzl Organ Transplant Center at the University of Pittsburgh in the U.S., the Organ Transplant Department of Kyoto University in Japan, the Bismuth Liver Center in France, and the Das Deutsche Herzzentrum (Germany Heart Center) in Berlin. The extent of its pioneering surgeries, however, would indicate that there is far more activity going on. The department has 3 hospital inpatient sections with 180 beds, an ICU section with 30 beds, 6 dedicated operating rooms, and a cardiovascular research lab of 2,000 square meters equipped with the advanced equipment and a large team. Heart transplantation has become routine surgery at this hospital, its website says. The department conducts close to 3,000 operations annually, 65% of which are complex operations on serious diseases. 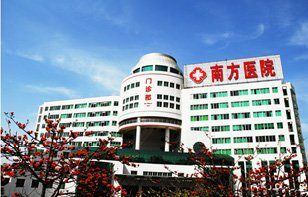 The current director is concurrent professor Jiang Kai, deputy director of the Department of Hepatobiliary Surgery at the People’s Liberation Army General Hospital. Jiang was under the tutelage of a well-known hepatobiliary surgery specialist in China, named Huang Zhiqiang, a member of the Chinese Academy of Engineering. Jiang studied liver transplantation at Queen Mary Hospital of the University of Hong Kong under professor S.T. Fan. 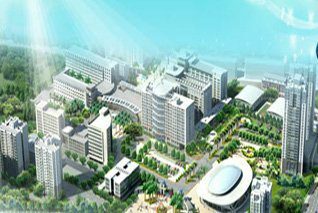 Jiang was responsible for a number of major programs of the Ministry of Science and Technology, the National Natural Science Foundation of China, and other military special programs. It has nearly 300 deputy chief physicians or above, and 400 professionals with Master’s or Ph. D. degrees. This hospital has over 1000 registered beds. This hospital has been doing clinical research and practice in liver, kidney, pancreas-kidney, cornea, bone marrow, and stem cell transplantation. It started kidney transplants in 1986, and has many associated departments related to kidney transplantation, which has guaranteed its seamless development. The hospital offers a special “green channel” (wait-free service) for renal transplant patients. In 2005, Liu Hang from the Oriental Organ Transplant Centre formed a renal transplant team at this institute. 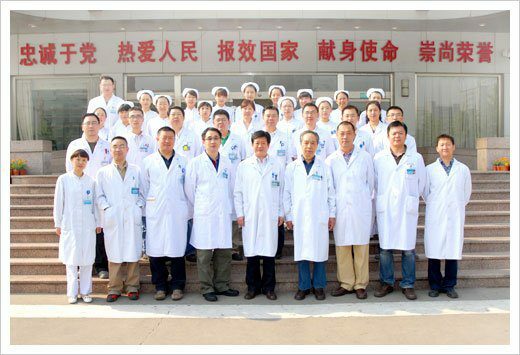 By July 2010, the number of kidney transplants performed by the team had ranked first in the Beijing-Tianjin area.149 Liu also trained over 10 junior surgeons in liver and kidney procurement. 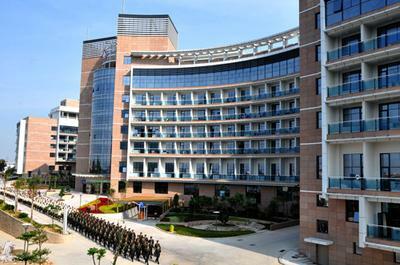 This is one of the largest military hospitals in China. The hospital’s official website and its domestic internet have hardly any information about the scale of organ transplants. Liu Long, the director of its urologic surgery department, specializes in kidney transplantation. Liu is a committee member of the Chinese Organ Transplantation Society and the Kidney Transplantation Group of the Chinese Urological Association. He is also the deputy director of the People’s Liberation Army Organ Transplant Professional Committee. 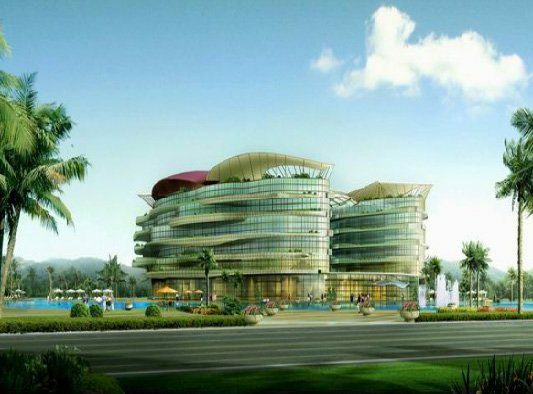 Its large kidney disease centre provides internal medicine and surgical therapy, dialysis treatment, and kidney transplant for kidney diseases. The centre currently has 83 beds. 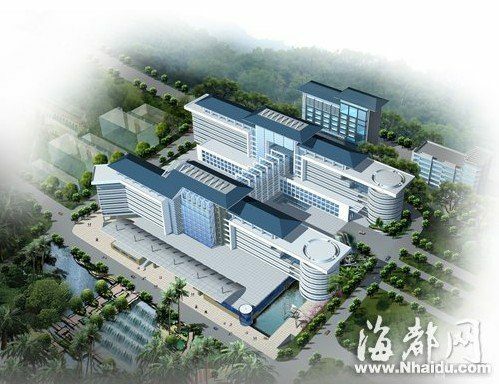 It’s one of three medical institutions in Zhejiang Province permitted to perform kidney transplantation operations.165 However one can hardly find any information related to its organ transplant volume on the website. Zhao Ming, director of the organ transplant department and a member of the National Organ Transplant Committee, has very rich experience in kidney, pancreas, combined pancreas-kidney, liver, and islet cell transplantation.171 He is responsible for a number of major national, military, and Guangdong province research projects, and has published over 20 papers in major journals and participated in the writing of two books. The hospital’s liver transplant centre has 4 chief surgeons, 3 deputy chief surgeons, 1 PhD, and 10 staff members with Master’s degrees. 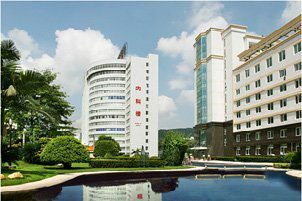 The hospital hosts Master’s degree training units for many well-known medical universities, including Southern Medical University, Medical College of Nanchang University, Fujian Medical University, etc. 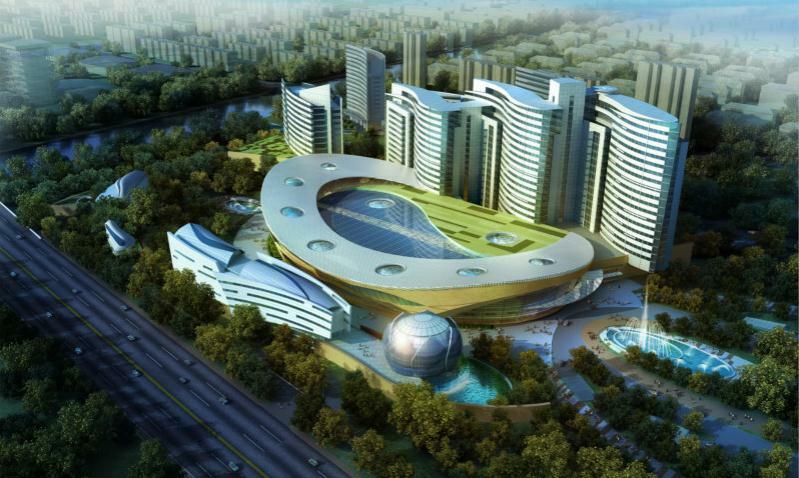 This hospital has over 2,000 professional technical staff, including over 200 of senior rank, nearly 200 PhD and Master’s advisors, an academician of the Chinese Academy of Engineering, and 4 principal scientists of the state “973” project. All of its clinical disciplines and first level disciplines in biomedical engineering offer PhD and graduate degree programs with clinical post-doctoral research stations. It trains over 1,800 students from various disciplines and accepts over 500 post-graduate physicians annually. This department has 5 PhD and 2 Master’s advisors. It recruits 8 to 10 PhD and graduate students each year. In total, it has trained over 100 medical PhD and Master’s students and several hundred post-graduate physicians for the military and the region. It currently undertakes over 20 projects, including those from the National Natural Science Foundation of China, Ministry of Health Research Funds, and the Ministry of Education’s Starting Foundation for Talent Returning from Overseas. 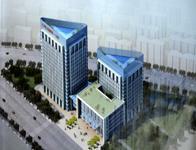 In recent years, it has won 13 military, provincial, and ministry-level awards and obtained over 30 national patents. It has published over 40 SCI research papers overseas and over 200 articles in domestic journals. The hospital has undertaken over 660 major and key research projects, including the state “973” and “863” programs, as well as those from the National Natural Science Foundation. It has won over 150 second prize awards or above at the national, military, provincial, and ministerial levels. 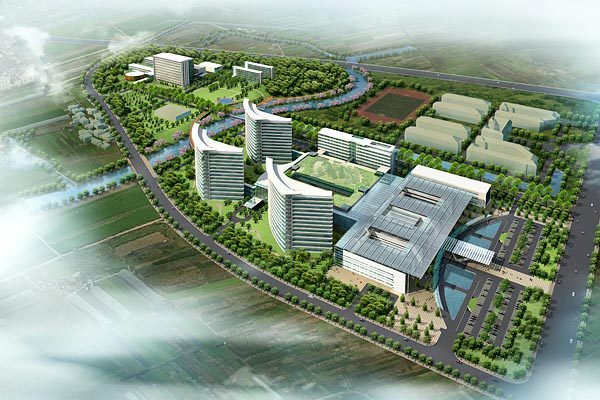 In China’s twelfth five-year plan, it was awarded more than 400 national patents. 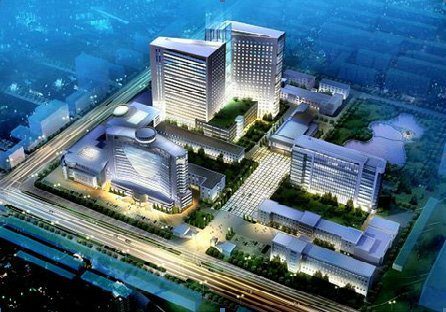 In 2014, it earned 10 million RMB from its scientific and technological achievements. In just the past 5 years, it has published over 650 high-quality articles in the SCI and EI journals and the three top journals, Cell, Nature and Science. 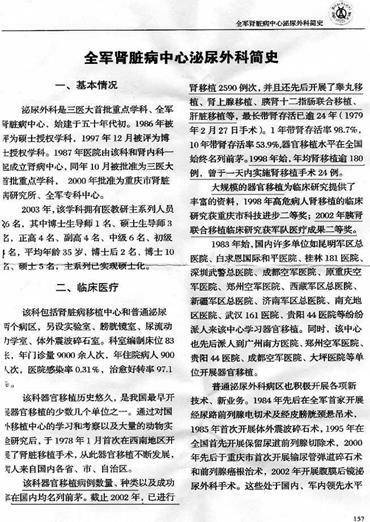 On September 26, 2000, the Overseas Hong Kong, Macao and Taiwan column of People’s Daily reported this type of story: Lu Fang, a 53-year-old private school teacher in Taipei, learned from the media that the People’s Liberation Army 460 Hospital had successfully conducted about 800 kidney transplants. Lu Fang arrived the hospital in Zhengzhou on September 3. After eight days, the transplant experts spent more than three hours to implement a kidney transplant for Lu Fang. Since the disease situation was complex, this hospital specifically prepared two kidney “donors” for her transplant surgery. 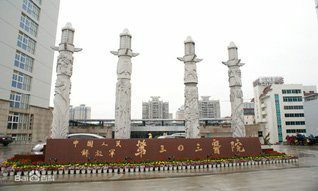 According to a doctor’s thesis from the Urologic Surgery Department of the People’s Liberation Army No. 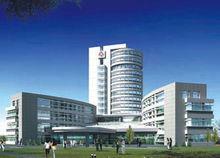 460 Hospital, by 2005, the hospital had carried out at least 1,217 kidney transplants. 186 The department began liver transplants in 2003. Kidney transplantation is one of its fields of expertise. Zhao Xueyi, vice president and academic discipline leader, has conducted a large number of kidney transplant research projects and studies, and applied them to clinical practice. Zhao has also set three national records. 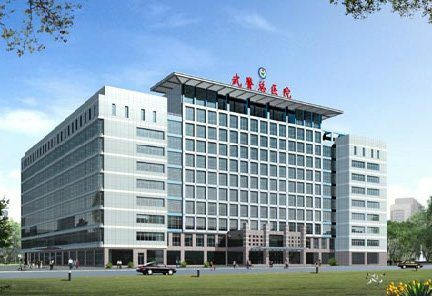 Many members of its transplant surgery department have studied at well-known liver transplant centres, including Shanghai Changzheng Hospital, the Eastern Hepatobiliary Surgery Hospital in Shanghai, and the First Affiliated Hospital of Nanjing Medical University. 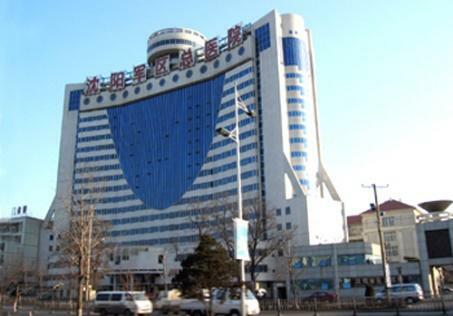 The hospital’s website states that its urologic surgery department has completed 1,500 kidney transplants since 1978.204 However, according to the Qilu Evening News in 2008, the department once performed 16 kidney transplants in 24 hours. 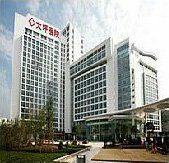 In addition, transplantation.org.cn reported in 2012 that director Zhang Aimin, claimed that the hospital had performed more than 2,500 kidney transplants between 1978 and 2012.205 The total now showing on the hospital’s website in 2016 is 1,000 fewer than Zhang’s figure in 2012. The hospital’s liver transplant centre has a strong and versatile team that is among the best in the province.209 It has carried out clinical research on liver transplants since the 1980s. In recent years, it has completed allogeneic liver, allogeneic piggyback liver, secondary liver, and liver-kidney transplants. It also conducted liver transplants for the elderly (the oldest patient was 78, being the oldest liver transplant recipient in the world). Its ophthalmology department conducts cornea transplants. It is known to have strong organ transplant capabilities. 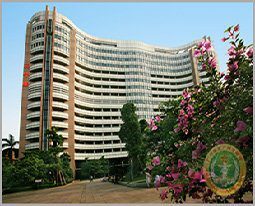 It serves as the organ transplant centre for Guangzhou Military Command and is the director unit of the academic commission of organ transplantation under the Guangzhou Military Command. 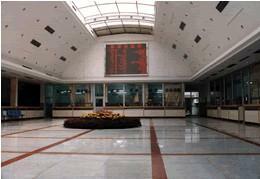 It also hosts the organ transplantation branch of the Guangxi Medical Association. 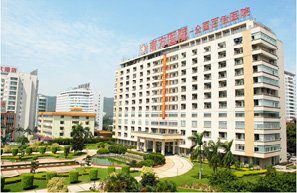 It conducted its first kidney transplant in 1986 and the first pancreas-kidney transplant in Guangdong and Guangxi provinces in 2000. The centre’s archived website shows that its bed and medical personnel count has not been updated since 2007. It still claims to perform over 150 kidney transplants per year since 2000. Based on the figure of 150 beds, each bed would in that case be used by only one patient every year. For such a small number of reported transplants, there would be no need for more than ten beds and one chief surgeon, let alone a whole building. The hepatobiliary surgery department’s archived website shows that it has had 50 beds since 2011 and performed over 30 liver transplants in total. However, the number was deleted in 2013.221 The equivalent annual volume of transplants would not meet even the Ministry of Health’s minimum requirement for transplant certification. 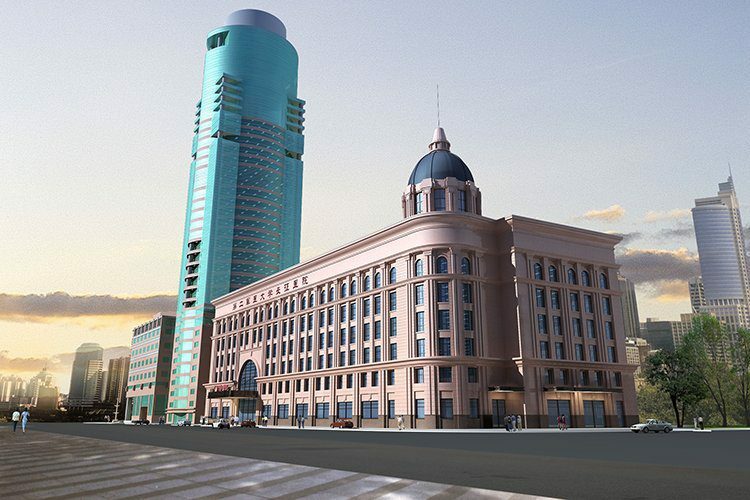 Its 10-story organ transplantation building became operational in 2006.226 It performs kidney, liver, heart, lung, cornea, and multi-organ transplants. 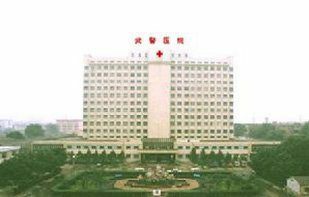 This large, comprehensive military hospital located in the mid-southern region of China began to carry out clinical kidney and liver transplantation in the late 1970s. It was one of the pioneering institutions to conduct organ transplants in China. However, just one surgeon—Tang Ligong, the chief surgeon of the department—is listed on the website as having carried out over 1,200 kidneys and more than 100 liver transplants.239 Thus, if the number of transplants attributed to Tang was accurate, it would mean that the many other surgeons working full time at the hospital had only performed 300 kidney transplants over more than a decade. The same problem arises with the data as of June 2009, when the website says that Tang Ligong had carried out 1,100 kidney transplants. Based on these numbers, he only carried out around 100 transplants in the next 7 years. All this is suggestive of far greater transplant numbers than stated, and a deliberate attempt to obscure, distort, and low-ball the actual numbers. Source: Sina Blog (Top Medical Network). Source: Minghui.org. February 6, 2014. 22 “The Truth Behind Li Qihua’s Renunciation in People’s Daily.” Minghui.org. Practitioners in China.” January 31, 2007. 26 Hepatobiliary Surgery – Doctor Introduction – Dong Jiahong. Beijing Tsinghua Changgung Hospital. 51 “The Road of Organ Transplantation in China.” Dooland.com. Source: Oriental Outlook. September 27, 2013.